Wayne McKinnon Recovered A Dothan Police Officer Body 32 Years Ago :: RickeyStokesNews.com! HOUSTON COUNTY: After 32 years of volunteer membership with Houston County Rescue Unit, Wayne McKinnon has retired from the unit. It was 32 years when Dothan Police Officer Robert ( Bob ) Hawlett drown in Lake Eufaula. For three days in the month of January 1987 search crews were unable to locate Hawlett with underwater drag teams. It was cold and Lake Eufaula was rough. Someone contacted Wayne McKinnon, a draftsman with the City of Dothan Engineering Department, and asked him for assistance. McKinnon went to Eufaula and dove and recovered the body of Dothan Police Officer Robert ( Bob ) Hawlett. Hawlett's daughter was brutally murdered years later in Ozark Alabama. A brutal murder which has never been solved. McKinnon's dive and recovery of Officer Hawlett kicked off the Houston County Rescue Unit Dive Team. A number of law enforcement and fire department personnel volunteered their time and joined Houston County Rescue Unit. The dive team was large and many officers donated their time to the service of others. Do not remember if the City Manager of Dothan was Jerry Gwaltney or Don Marnon during this period of time. 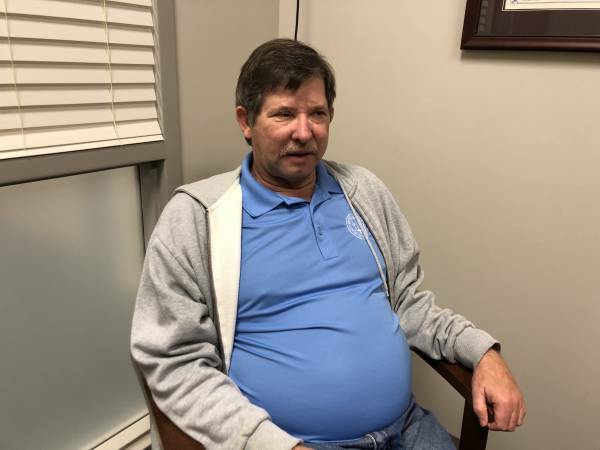 But they would allow McKinnon to respond to emergencies where divers were needed and he was not forced to take leave from the City of Dothan. One day a car sped out of Wiregrass Commons Mall parking lot and landed in the pond on northside of the mall. Dothan Police Chief John White picked McKinnon up from the Civic Center and sped lights and siren to the scene with McKinnon. And KcKinnon was changing in the backseat as fast as he could to be ready to enter the water to save the driver. McKinnon always has kept his dive gear in his personal vehicle ready in seconds notice. The driver at the mall escaped from the vehicle and was able to surface and swim out. As years passed and the law enforcement and fire realized they could do a lot of the diving on City time and expense their volunteer days ended. The Dothan Fire Department formed a dive team and the Houston County Sheriff Department formed a dive team. As years passed when surrounding agencies called for the "dive team" the emergency agencies would get the call and those on payroll would respond. Dothan City Manager Mike West came on board. And he forced McKinnon to take vacation or leave time for emergency dives and would no longer let him go on City of Dothan time for dive emergencies. But McKinnon, being the dedicated and quiet person he is, would take the leave time and respond to do what he could to give the families peace. Over the past 15 years McKinnon has served as President of Houston County Rescue Unit. McKinnon is now 61 years old, 32 years as a volunteer and 39 years of employment with the City of Dothan Engineering Department. While no retirement plans are with the City of Dothan, last night at Houston County Rescue Unit was election night. McKinnon voluntarily did not seek election and retired. Going out making a positive impact on emergency services. Wayne McKinnon "was" the first diver in this area for the purposes of searching and recovering lost bodies. Often times in the water where you could not even see your hand in front of your face. And McKinnon's 32 year adventure started in his recovery of a drown Dothan Police Officer. THANK YOU Wayne McKinnon. You brought a lot to the table for the region. Not just Houston County, but the region. It was your dedication and leadership that started the divers, no matter what agency they are with. You were the beginning.